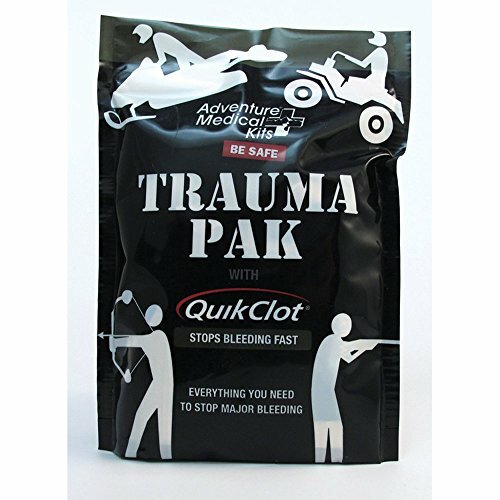 Adventure Medical Kits® Trauma Pak with QuikClot® is a great emergency to have at home or with you on your outdoor adventures. The QuikClot® clotting sponge included stops bleeding fast. It also comes with several bandages, gauzes, sterile gloves, antiseptic wipes, a biohazard disposable bag and more. On top of this, it comes with instructions for treating severe bleeding and other preliminary treatments for major injuries. Also included is an instructional sheet, so you can quickly diagnose injuries and dress them properly. This a smart addition for any hunter, wildlife guide, emergency personnel, climber, and other adventurers. The lightweight pack only weighs 0.24 lbs. and measures only 6.5'' x 4.75'' x 1.5', so it can go where you go. On top of that, it can be refilled multiple times. 2-in-1 First Aid Kit (120 Piece) + Bonus 32-Piece Mini First Aid Kit: Compact, Lightweight for Emergencies at Home, Outdoors, Car, Camping, Workplace, Hiking & Survival.